Tycho Wing, was the second of at least five so named (when they were not christened Vincent) in a remarkable dynasty of astrologers, astronomers, mathematicians and land surveyors. 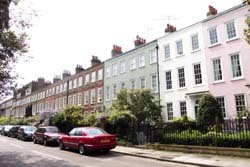 His connection with Twickenham lay through the shared ownership of several houses in Montpelier Row late in his life. Born at Pickworth, near Stamford in Lincolnshire, the son of Tycho the first and Eleanor, he was apprenticed to Thomas Heath, a London instrument maker on 27 May 1741 and, on becoming free of the Grocers Company, he joined Heath in partnership from 1751 until 1773. Heath had two daughters, Hypatia and Ann, and Tycho married Hypatia on 29 July 1749. Ann forged the Twickenham connection by marrying Robert Holmes (1731-1799), of the family of carpenter-builders living and working in Twickenham throughout the 17th, 18th and part of the 19th centuries. 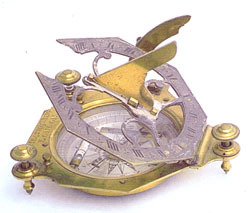 Just how Ann Heath and Robert Holmes met is not known though it is likely that surveying instruments and publications of the Wing family were widely known to builders. This might have promoted a connection between the three families. Vincent had published The Art of Surveying in 1664, aimed at bricklayers and other craftsmen and covering both land and quantity surveying. Tycho's brother Vincent was a surveyor as was their grandfather John, whose publication, Heptarchia Mathematica was a text book for masons, carpenters and glaziers. The Holmes family had prospered and, remarkably, Robert acquired no fewer than five houses in Montpelier Row. Of these, nos 9, 11 and 12 came into the possession of Ann, and Hypatia and Tycho. They also owned nos 2, 3 & 4 in 1774. These houses were exchanged within the families from time to time and on Tycho's death Hypatia inherited his share of these. His will (PCC Prob11/1017) of 1774, a one paragraph model of simplicity, bequeathed all his (unspecified) freehold and copyhold property to Hypatia for her life and then to their married daughter, Mary Ellenor (sic) Barber whose husband Sampson Barber of Basinghall Street was named as an executor together with Robert Holmes, carpenter of Twickenham, and Hypatia herself. There appears to have been only a single daughter of the marriage. Tycho gave his address as Enfield Parish. 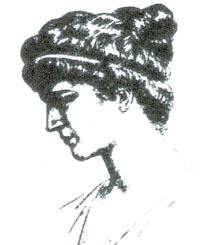 Hypatia Heath was perhaps named after Hypatia of Alexandria (c370-415) the Greek Neo Platonist and the first woman to make a contribution to the development of mathematics. This surely reflected her father's interests, even the hope that she might acquire mathematical skills of her own. Hypatia spent 25 years a widow. She moved up to Peterborough (after all this was Wing country) and then to Abbeville in France, where she made her will (PCC Prob 11/1357) on 22 August 1794. She left her entire estate in trust, to her daughter Mary, to be managed by two trustees for her benefit and any subsequent legatee whom Mary might name, and specifically excluding “her present or any future husband” from any interest in the estate. One of the trustees, Brown Young, a glass merchant from the City of London, was connected through marriage and well known in Twickenham: he married Mary, daughter of Robert Holmes in 1782 and thus acquired property interests locally. Mary was at this time living with her mother at Abbeville, so it seems the marriage may have broken down. There was, possibly, a son of the marriage, also Sampson Barber who was born in 1773 and buried at Thorney Abbey in 1825. Thorney had by this time become the home of the fourth Tycho mentioned presently. 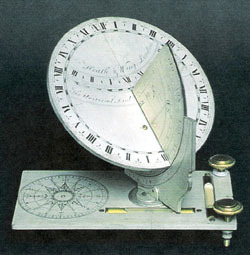 The family spanned at least six generations of astrologer-mathematicians, land surveyors and scientific instrument makers. Ascertained genealogical records start with Vincent (1587-1660) and his son Vincent (1619-68), who both lived at North Luffenham, Rutland. It is believed that the family came from Wales. Described as astronomer, astrologer and land surveyor, the son enjoyed a considerable reputation in his lifetime through his various scientific publications. He had a son, also Vincent, but it was his brother Moses' son, John (1662-1726), who was the father of the first Tycho (1696-1750). This Tycho was a philosopher, astronomer, teacher of mathematics & music and Coroner of Rutland from 1727 until 1742. There is a portrait of him by John Vanderbenk in Stationers' Hall, London. His brother, John (1723-80), became Surveyor to the Duke of Bedford. The third recorded Tycho, son of Vincent the fourth and Mary was baptised on 4 May 1769 at Great Casterton, north of Stamford in Lincolnshire. Tycho the fourth (1794-1852), continued as a surveyor, and agent of the Duke and made a considerable name for himself, earning the nickname “King of the Fens”. Sometimes in the company of John Rennie and Thomas Telford, Tycho surveyed the Nene River outfall and surrounding marshes. The Nene River mouth is known as Tycho Wing's Channel, and the area on the east side of the river is Wingland, or Wingfield. He went to live at Thorney Abbey, near Peterborough and married Adelaide Basevi(1796-1885), sister of George Basevi the architect, on 28 March 1828. The third of their eight children was christened Tycho in 1831 but, dying young in 1843, was perhaps the last to hold the name. 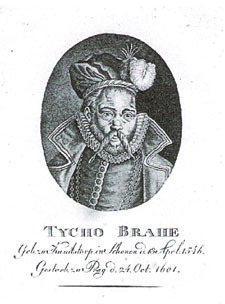 Vincent Wing's nephew John, christened his son Tycho as a tribute to the memory of his uncle, so linking him with the 16th century Danish astronomer Tycho Brahe (1546-1601), born Tyge Ottesen Brahe. Tycho is a Latinised version of the name. Both Copernicus and Tycho Brahe were championed by Vincent whose work Astronomia Britannica, published first in 1669, was a treatise on planetary matters following Copernican principles and including observations by Tycho Brahe.